Organisers of the forthcoming Battle of Britain 75th anniversary concert at the Cliffs Pavilion in Southend say they plan to look beyond the bravery of the ‘The Few’ to recognise the role of others who contributed directly to victory and the many who supported them in Britain’s finest hour. As well as saluting the heroism and courage of the Allied airmen, numbering fewer than 3,000, who took part in the Battle, the concert on Wednesday, November 25 will turn the spotlight on those who contributed directly to securing victory in 1940, as part of the fighting capability of Fighter Command, and the many others who also contributed indirectly to victory. Among them were the men and women who operated a complex system for detecting enemy aircraft and controlling the Allied response. Named the ‘Dowding System’ after its chief architect Air Chief Marshal Sir Hugh Dowding, it was an elaborate and extensive system that allowed commanders to control the ebb and flow of battle and ensure RAF fighters where in the right place at the right time. The lynchpin of the system was the Filter Centre. The centre compiled a recognised air picture from large amounts of information received from the radar system and Observer Corp reports. This picture was not only used by commanders to fight the battle but also queued other important defensive systems comprising Anti Aircraft Artillery, searchlights, and barrage balloon operators. 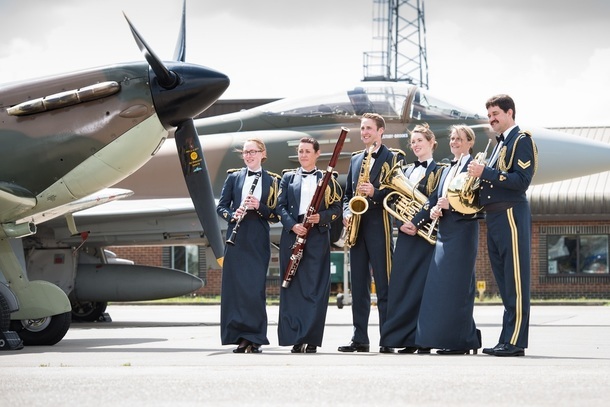 Featuring the Central Band of the RAF, the concert will include rousing military marches, popular songs from the era, plus big band numbers and classical pieces that will serve as a musical tribute to all those who participated in the Battle of Britain. The concert, which will also feature dramatic historical and modern day footage of the RAF on a large screen, is staged in support of the RAF Charitable Trust and will be compered by BBC broadcaster and ‘Voice of the Balls’ Alan Dedicoat. Tickets priced £19-£25, are available from the Cliffs Pavilion Box Office on 01702 351135.